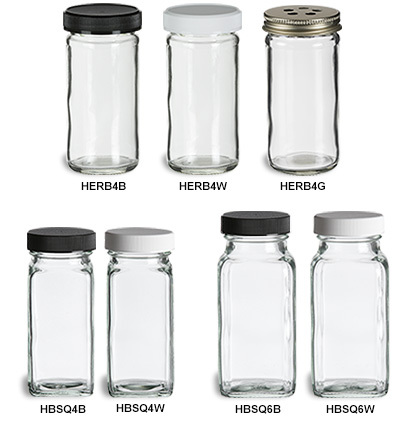 Our series of glass spice jars will streamline any pantry or spice rack. We offer square and round versions, each quality crafted from durable thick glass. Our spice jars with black or white plastic lids include shaker fitments, and our metal shaker lids include paperboard liners. Plastic lids come with shaker fitment.